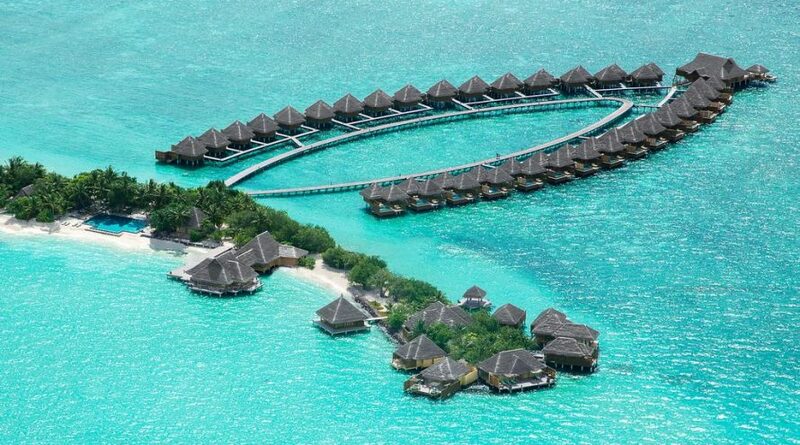 Set on a landscaped private island, this high-end beach resort is a 15-minute speedboat ride from the capital, Malé, home to Velana International Airport. Luxurious villas have private decks, beach access and ocean views. All feature free Wi-Fi, flat-screen TVs and DVD players, as well as iPod docks, minibars, and tea and coffeemakers. Upgraded villas add private pools, decks and tropical outdoor showers. There’s a Japanese restaurant with an open kitchen, as well as an overwater restaurant, a chic cocktail bar and a poolside bar. Other amenities include an infinity pool, and a spa with hot tubs, steam rooms, saunas and treatments.